Our HOPE Coffee team is humbled and deeply moved as we reflect on how God worked through the ministry of HOPE Coffee in 2015. 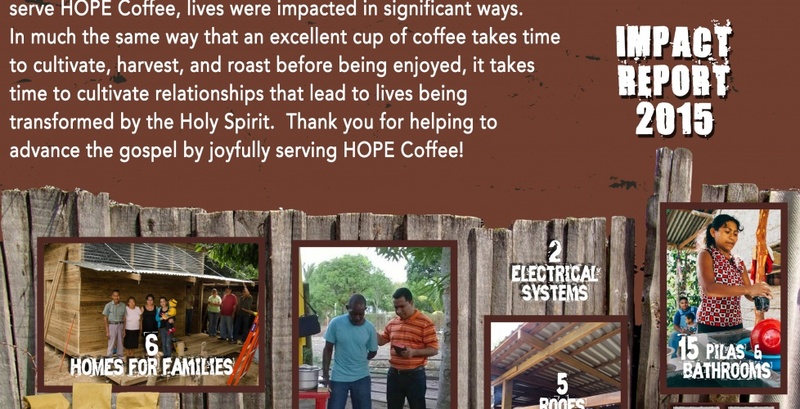 Because people, churches, and organizations chose to buy and serve HOPE Coffee, lives were impacted in significant ways. Download your copy of the 2015 Impact Report here.